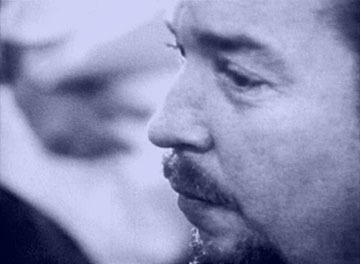 Bob Johnston worked briefly as a staff producer for Kapp Records, then for Columbia Records in New York, where he began producing a string of notable and highly influential albums. He was already producing Patti Page when in 1965 he was successful in gaining the assignment to produce Bob Dylan, followed by Simon and Garfunkel, The Pozo-Seco Singers, Johnny Cash, Flatt & Scruggs, and then Leonard Cohen. His style of production varied from a ‘documentary’ approach capturing a fleeting moment (exemplified by Dylan’s albums and Cash’s live albums) to providing subtle arrangements with strings, background vocals and seasoned session musicians (exemplified by Cohen’s studio albums). 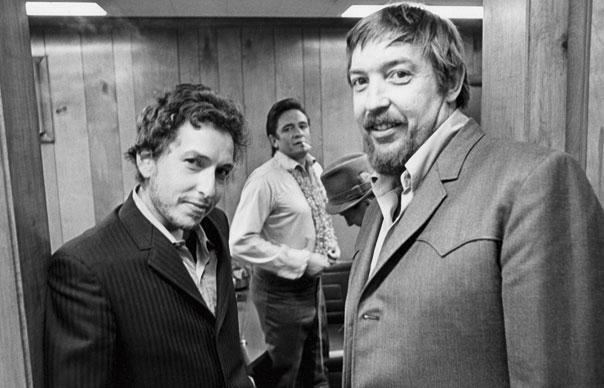 I have no idea what the first song I recorded with Dylan was. It was on Highway 61, but I wouldn’t know what it was, because I had Simon at night, and Dylan in the day most of the time, or afternoon. I had 27 artists I was working with, the Byrds on the coast, Patti Page, and the ones in New York. I didn’t know where I was. I knew I loved it, and I would sleep going out to Long Island in a limo, and fix breakfast for the kids. See them, turn around and sleep back into town. That’s the sleep I got for two or three years. I went over with Paul Simon and recorded the Sounds of Silence album. He was totally different! Dylan never did anything twice in his life! Nobody ever counted off for him. He’d get that guitar and go, “This goes C-R-G.” I told everybody that I ever got with, if you quit, you’re out of here, because you’ll never hear that song again. He’ll go get a pen and start playing, and you’ll forget about that song, and it’ll be the ending. 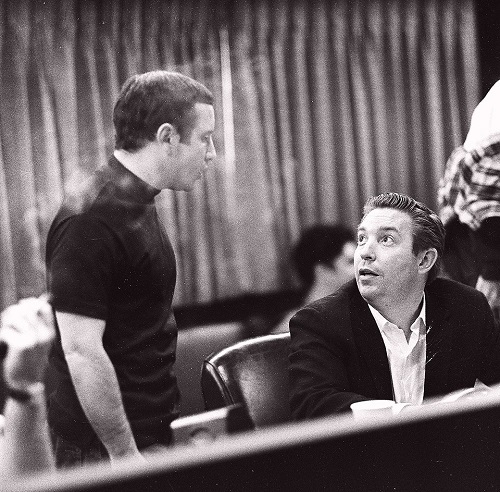 I said, “We can overdub anybody but him, so don’t anybody ever stop.” And nobody really ever did. After a couple of years in New York, Johnston became head of Columbia in Nashville, Tennessee, where he had known many of the session musicians, such as Charlie Daniels, for years. He produced three of Cohen’s albums, toured with him and also composed music to the Cohen lyric “Come Spend the Morning”, recorded by both Lee Hazlewood and Engelbert Humperdinck. 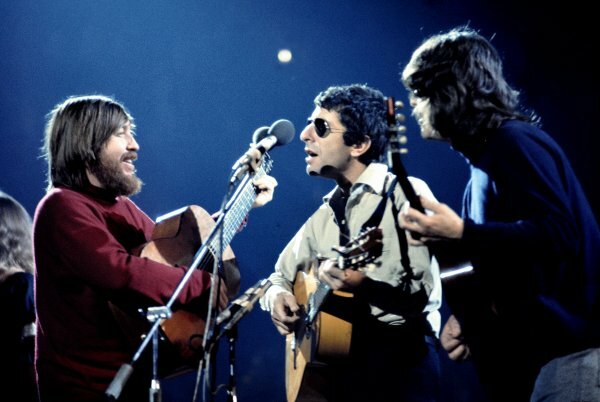 Dylan played a little song, and I said, “That sounds like the Salvation Army band.” He said, “Can we get one?” I said, “No, it’s two o’clock in the morning!” I got a trombone player and a trumpet, put a drum around a guy’s neck. Everybody marched out there and sang “Rainy Day Women,” and all the other stuff. I didn’t just languish there, “What do you wanna do now?” That’s what I did for a living. Eight years with Dylan. Bob Johnston worked through the 1970s, as before, with country, folk, and rock artists. He could not hope to get as interesting or as good artists as he did between 1965 and 1970. Nobody could. He hasn’t worked as frequently in the later years, but there have been some work coming out from time to time. His last album was with Brazilian artist Eron Falbo with the album, 73 in 2013. He died August 14, 2015. So, Rest in Peace now, Mr Bob Johnston, a man with one of the best track records of all time! “Is it rolling Bob?” Love that opening! Great producer. So, does anyone know where those Dylan/Cash tapes are? I worked with Bob in the early 1970s. It was a very intense experience and when it comes to thinking of people you will remember for the rest of your life, he was one of them. There are many stories in my mind about him and I wish he was still here. You are lucky to have known him and worked with him, we are lucky to hear his work. He was truly special.